Don't you hate being stuck in the house just because it's raining? That's why we have compiled a list of the best rainy day activities to participate in when you are in NV! Just because the weather is bad doesn't mean you should stay home all day. Check out these Nevada rainy day activities and turn a bad day into a good day! The King Putt Indoor Mini Golf in Nevada offers a unique experience for your family unlike any other in the world. They are family oriented so the mini golf provides a fun, affordable and safe environment for family of all ages. This is a great alternative activity for rainy days as the whole family can participate together, starting from the jungle full of exotic animals glowing under black lights to an underwater world complete with an octopus set. They also offer birthday party and group event packages. The arcade experience such as playing air hockey or driver games are an addition of fun. 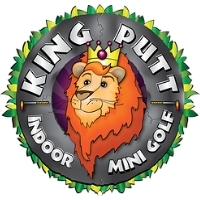 King Putt opens from Monday-Thursday at 2 p.m. – 10 p.m., Friday 12 p.m. – 12 a.m., Saturday 10 a.m. – 12 a.m., Sunday 10 a.m.- 10 p.m.
On a rainy day, there are a lot of indoor activities parents and children can enjoy; one of them is Laser Quest Las Vegas, NV. Here, the family can have fun and entertainment with affordable prices. 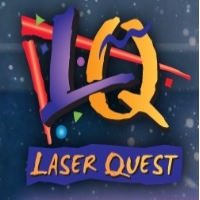 The game features live action laser tag for a group of children at birthday parties or special events. They also have educational programs like the Quest for Knowledge, Laser and Mazes, and Light and Optics. The children will learn about a history of lasers and mazes, how lasers are used in society, different types of mazes, how mazes are a part of everyday life, also the law of reflection, angle of reflection and point of incidence. For open extended hours it is suggested to call before coming here. The Roller Kingdom is Reno's favorite spot for families with their children. It offers the latest and hottest new music to accompany visitors when they skate. Rollerblading is also an alternative way to bring the joy to your children during a rainy day activity in NV. This Nevada place specializes in weekly and monthly fun events for the whole family, sometimes it holds skating games and gives out prizes to the winners. The newest addition is the Video Arcade which is filled with the newest digital delight to tease your fingers. 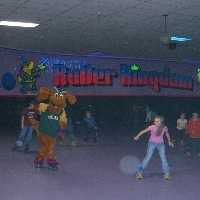 With Roofus the Roller Roo as their mascot, Roller Kingdom is ready to welcome children to their place. On a NV rainy day, parents can take their children to the library for an alternate activity. 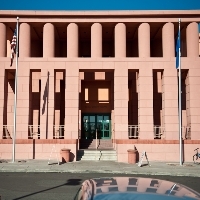 It is educational and inspiring for the kids to learn things they want to know from the massive collection of books at the Clark County Library in Nevada. It is located only 5 minutes down the road from the UNLV. Parents can teach their kids at an early age the importance of information. The library has a helpful librarian to help parents and children finish their homework, or learn more about the biography of famous people, animals, countries and cultures, encyclopedias, and many more. They have the latest technology available and parents can direct their kids to learn it by asking the questions online. 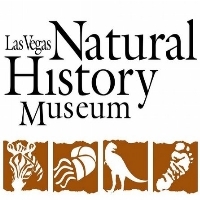 The Las Vegas Natural History Museum exhibits a varied collection of wildlife and prehistorics from the desert to the ocean. It takes young and old people to learn adventure throughout the world. On a NV rainy day, the activity of browsing the museum collection will inspire visitors through the magnificent exhibition. The Dinosaur Mummy CSI is a one of a kind exhibit showcasing the science and technology to unlock the most preserved dinosaur. The Treasures of Egypt guarantees visitors to explore how the archeologists unearthed some of Egypt’s most renowned treasures. There are many more exhibits as interesting as those two above, all equally fun and enjoyable to walk through. This museum in Nevada opens daily from 9 a.m. to 4 p.m.
On a rainy day, it is nice to have an indoor activity in NV. Pinball Hall of Fame in Nevada has featured pinball machines ranging from the 1950s up to 1990s. 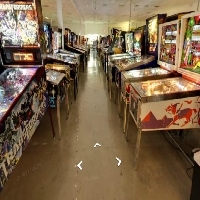 The facility has massive 10,000 square feet dedicated for visitors to enjoy non-violent pinball arcade games. Children will be reminded of the old days before portable video games existed. People can cheer, jumping up and down, laughing and having fun all day. All the pinball machines work beautifully. And one important thing, this pinball museum is a nonprofit so all excess revenues go to non-denominational charities. The museum opens from 11 a.m.-11 p.m. from Sunday to Thursday and 11 a.m. until midnight on Friday and Saturday. 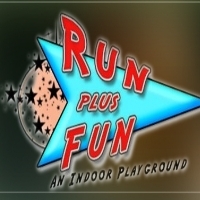 Run Plus Fun in Nevada offers a large play structure for kids with slides, foam ball shooters, crawling tubes, obstacle courses and more. It is a perfect place for a mother with a toddler to spend some educative activities on a rainy day in Nevada. The playground is guaranteed to be a safe environment so children as well as parents can relax while being here. They also offer birthday party packages, ballet and artistic discovery classes. Children will be satisfied with all the sliding, jumping, crawling, shooting foam ball guns, and racing across obstacle course settings. 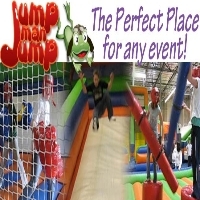 Jump Man Jump is a large playground for your kid to wire off their energy. This Nevada place is perfect for birthday parties, team and company events, school and child care outings and more. They provide a clean, safe and fun environment for kids to enjoy. It is a convenient place for rainy day activities where children can play along with other children and make friends while doing so in NV. The staff is always friendly and helpful. There is at least one staff supervising each inflatable so it is safe for your kids and the parents can have a relaxing time while being here. Call personally for open hours on weekends. 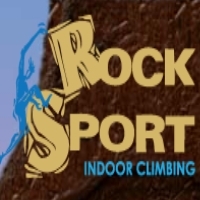 RockSport Indoor Climbing Center in Nevada has over 7,500 square feet of sculpted terrain, 35 foot high top rope and lead climbing areas, extensive bouldering area, technical vertical and slab climbs, and many more. This indoor sports center provides the perfect environment for the occasional recreational climber and for those who want some serious training. The place is also great for kids with supervision from the staff on weekends from 10 a.m. to 1 p.m. Indoor rock climbing can be considered as a challenging rainy day activity in Nevada. Where else can you get to climb a rock without being afraid to fall off the cliff? 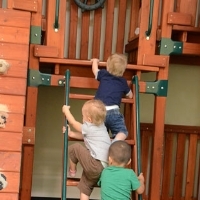 Childs’ Play is a facility for child play which features a huge Backyard Adventures play set. This indoor playground in Nevada offers the entire facility for everyone’s birthday party. The classes are varied from dance and drama, tumbling and yoga, art, music, karate and many more. Visitors don’t need to be a member to enjoy these classes. It has advantage points for brothers or sisters to play together at an affordable price. For rainy day activities with your children in NV, this place can be a huge benefit for your children to enjoy a fun day with their sibling or children their own age.